Love, Revenge, Pride. Everyone has a reason to fight. 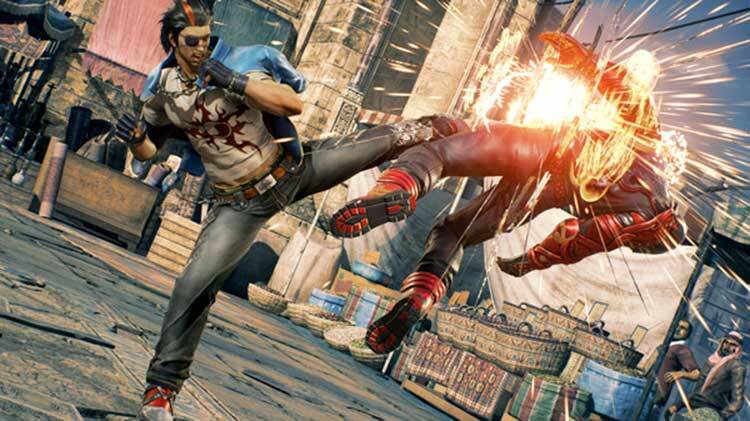 Powered by Unreal Engine 4, TEKKEN 7 features stunning story-driven cinematic battles and intense duels that can be enjoyed with friends and rivals. 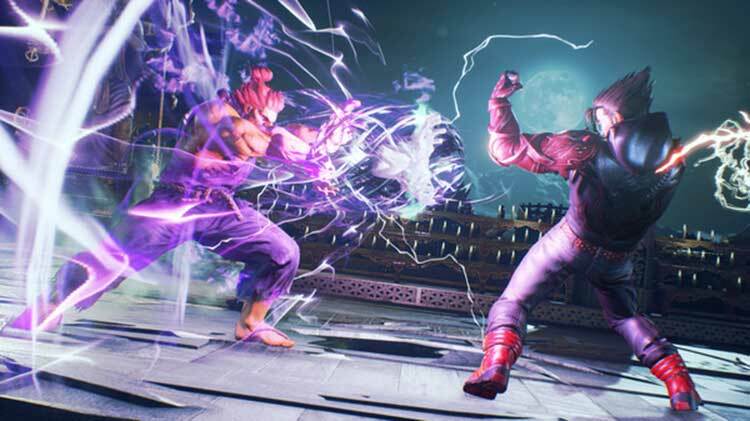 Tekken 7 makes the jump to the next generation of consoles capably, with an embarrassment of cosmetic riches and the series' classic fighting mechanics mainly intact. Ultimately, the core of Tekken is unlike anything else in the genre, and getting people together to figure it out and get your hands dirty is always a blast. Tekken 7 continues with the care and polish a series of its caliber deserves. Netherrealm Studios are doing a too good job for that with Mortal Kombat X and Injustice 2. However, given that in my childhood the Tekken series was omnipresent, it is my personal King of the Iron Fist. It is not completely understandable for me, why there was so little effort put into more varying game modes. I hope the explanation is not mainly to sell them via the upcoming DLCs. I don’t mind too much about the missed potential in the story mode though. As soon as the problems in the online modes are fixed, this will give me plenty of entertainment. Tekken 7 is the first modern fighting game I've played that really seems to maintain the feel of the classics in its entirety. 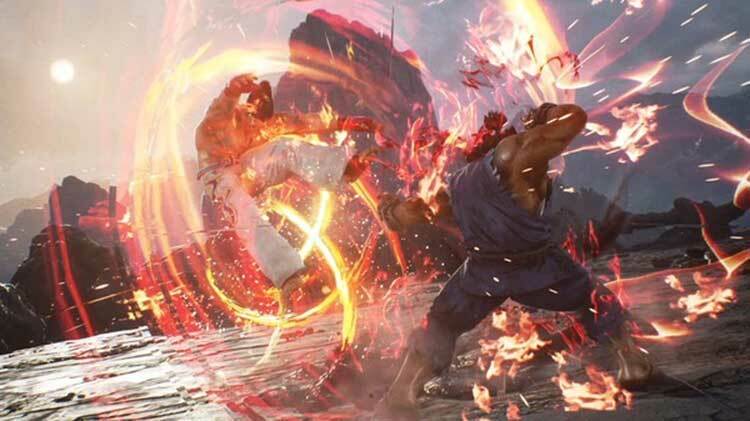 As much fun as the results of the genre's evolution has been, there's always going to be a place in the gaming collective for the classics, and Tekken 7 is fundamentally just that. It's nearly perfect as a core Tekken experience. The only thing that was truly disappointing was the lack of Tekken Ball. Tekken 7 is the fighting experience that its fan base wanted it to be. The game will make you want to drop all the fireballs and fatalities and jump back to a franchise that most put on the backburner. 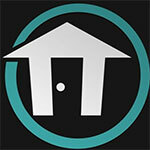 3D fighters have taken a backseat as the likes of Virtua Fighter and Soul Caliber have gone missing. 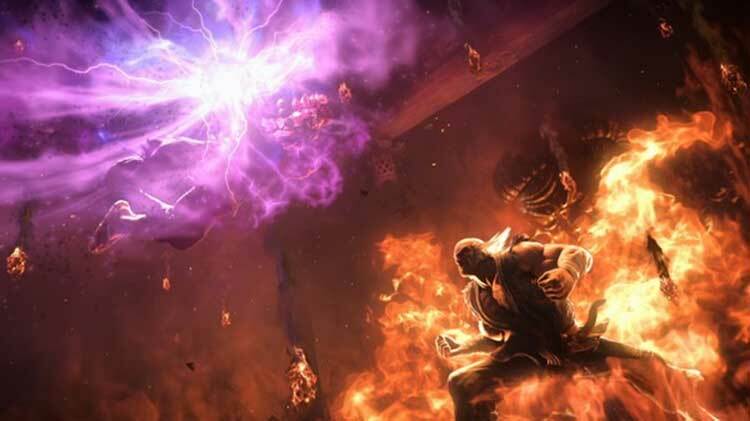 Tekken 7 could be just the title to garner interest in bringing those games back. With little flaws in concept and execution, Tekken 7 feels like a traditional fighting game with the right amount of flash that players will want to master. It may not be packed to the brim with content or have the best story but Tekken 7 serves up a tantalizing mix of deep combat and character balance to keep fans busy for a long time. Notwithstanding that ranked matches are currently a crapshoot, Tekken 7 remains an easy game to recommend. Its diverse roster is packed with a wide range of personalities and fighting styles, bolstered by a raucous attitude that begs to be taken seriously while simultaneously mocking its more peculiar whims in the process. Tekken fans will find their next favorite game--one that's the product of decade's worth of refinement. When Tekken 7 comes alive, it does so with a furious zest and capability. With another invested player in tow, it delivers a gratifying, hard-hitting time with the winsome giddiness of a party game. And if you’re willing to put in the work required to release that power—and have the friends on-hand to help—then I'd recommend it, no question. Bandai Namco has hit a home run here and has created a game that is easily accessible in the same way Tekken has almost always been - something that has made it so popular - but at the same time it has managed to bring about a lot of changes and added depth to make it appealing even to the pros, likely for years to come. "May I have a rematch?" has been the most commonly spoken phrase around these parts for a while, and will likely stay that way, because this is an excellent game. 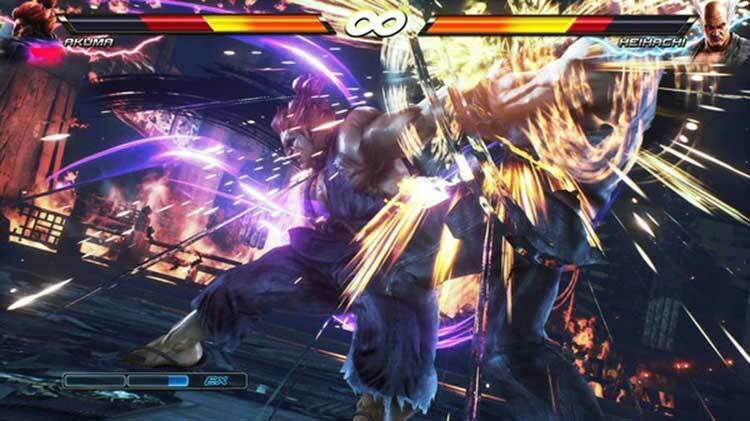 It plays like Tekken, it feels like Tekken, it looks like Tekken… and that's because it is Tekken, therefore, don't go in expecting something new and exciting. Thankfully, that doesn't mean that this isn't a very good fighter, as it's actually one of the most fun and balanced available in the genre, as long as you don't mind its strong mid-'90s 3D fighter vibe. 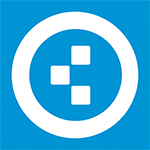 Die zugänglichen Kombos mit Button-Mashing- Anleihen sind bis heute der Grund, warum ich immer wieder gern zu einem Serienableger greife, wenn ein Kumpel am Start ist. In den letzten Jahren gab es allerdings herbe Abnutzungserscheinungen - zu wenig hat sich beim Kampfsystem getan. Tekken 7 fühlt sich daher durch die Rage-Moves und die neuen Power-Crusher für Serienverhältnisse wunderbar frisch an - zumal der Titel auch in Sachen Präsentation ordentlich zugelegt hat. Avec Tekken 7, les Mishima ne pouvaient rêver meilleure conclusion après 23 ans d’embrouilles familiales. Pourtant, le manque de contenu solo, le mode VR anecdotique et les chutes de framerate ternissent quelque peu le tableau, mais cette maîtrise dans le gameplay rappelle que la baston 3D n’a plus aucun secret pour Katushiro Harada et ses équipes. Sans jamais leur forcer la main, ils poussent les débutants à travailler leur style grâce à des mécaniques qui offrent une marge de progression énorme. 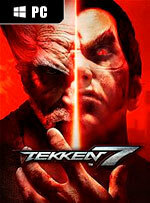 Grazie alla sua scalabilità e all'attento lavoro di ottimizzazione di Bandai Namco, Tekken 7 su PC è davvero una garanzia per chiunque voglia divertirsi o puntare dritto al competitivo senza avere problemi che possano minare la propria esperienza. Convinti del fatto che arriveranno altre rifiniture per migliorare ulteriormente il già ottimo netcode, puntare oggi su questo magnifico picchiaduro è un "investimento" dovuto. Tekken 7 è un picchiaduro solido e convincente, dotato di una struttura particolarmente ricca e di una grande attenzione ai dettagli. Le modifiche al roster garantiscono un percorso di apprendimento lungo e interessante, che però porterà inevitabilmente ottimi frutti, anche online, grazie al bilanciamento di determinati aspetti dell'esperienza e all'introduzione di alcune importanti novità dal grande valore strategico. Tekken 7 – это очень сложная, но красивая и современная игра с безупречной механикой. Да, есть на свете файтинги более красивые, есть «драки» и с более яркими персонажами, и с куда более интересным сюжетом. Но столь же сбалансированного, столь же математически выверенного файтинга вы не найдете точно. Да и боевая хореография бойцов в Tekken – штука совершенно особенная. Tekken 7 jest jedną z najbardziej dostępnych bijatyk na rynku. Może do niej wskoczyć niemal każdy, nawet nie znając kombinacji. Jest to również najdynamiczniejsza produkcja z tego gatunku, dzięki czemu często można oglądać sytuację, w których pasek obu walczących stron będzie o włos od wyczerpania się. Martwi za to bardzo ograniczona liczba trybów oraz problemy z grą sieciową. Nie zmienia to faktu, że Tekken wrócił do graczy w wielkiej formie. Rozgrywka potrafi być bardzo wciągająca i diablo satysfakcjonująca.